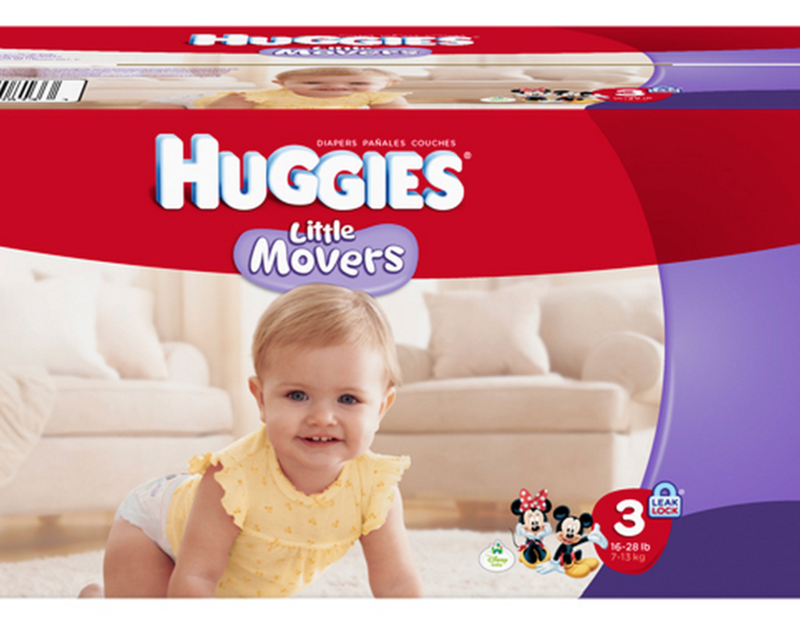 Made to fit your little mover, Huggies Little Movers Diapers stay in place like no other diaper so baby can get out there and explore! 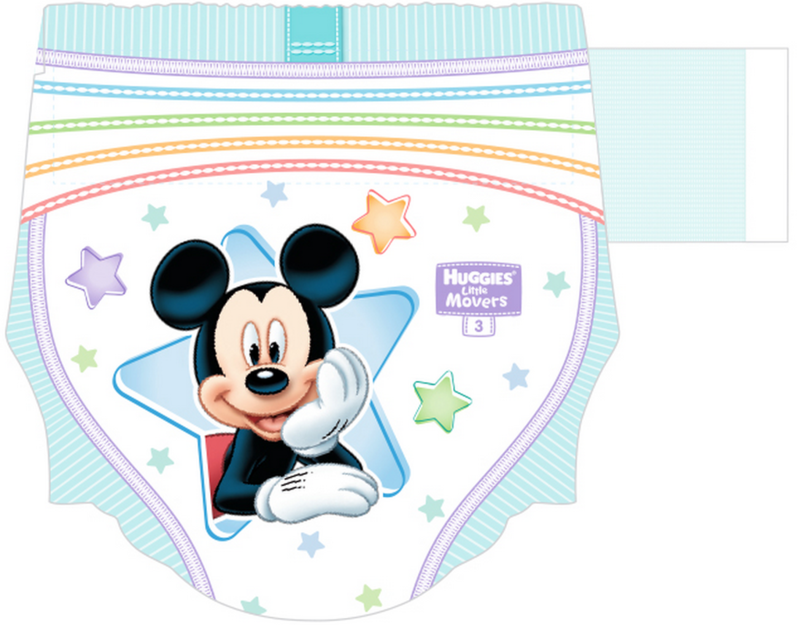 Huggies Little Movers diapers provide a comfy fit that lasts and go where your baby does. 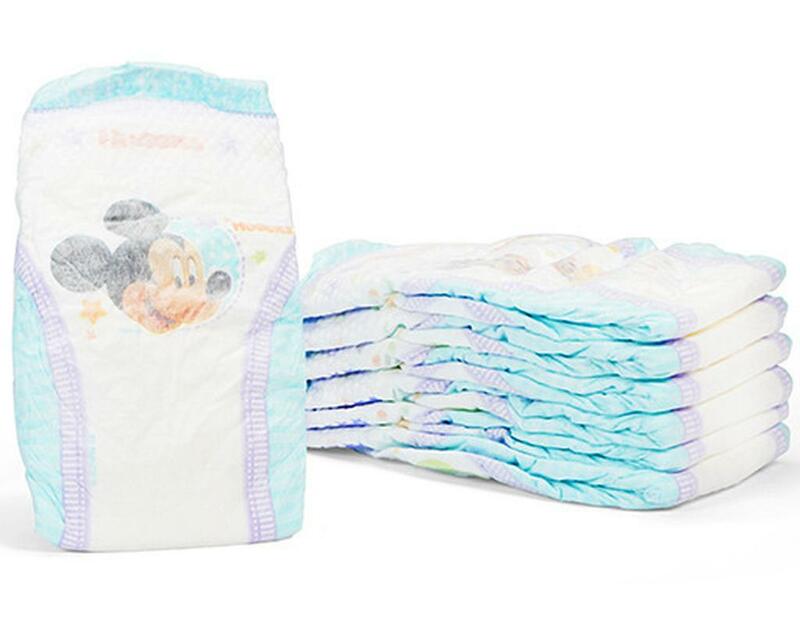 • New Double Grip Strips provide double the grip for a long-lasting fit. 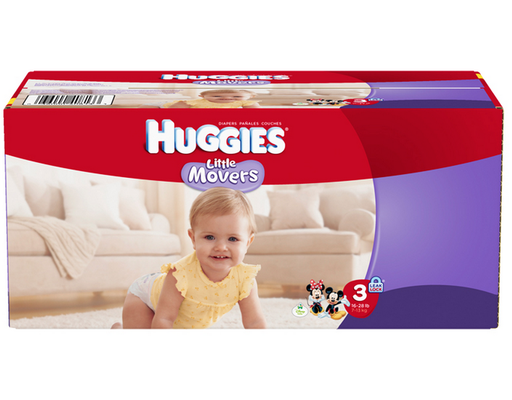 With all-new Double Grip Strips, Huggies Little Movers Diapers will move with your baby, while protecting against leaks. 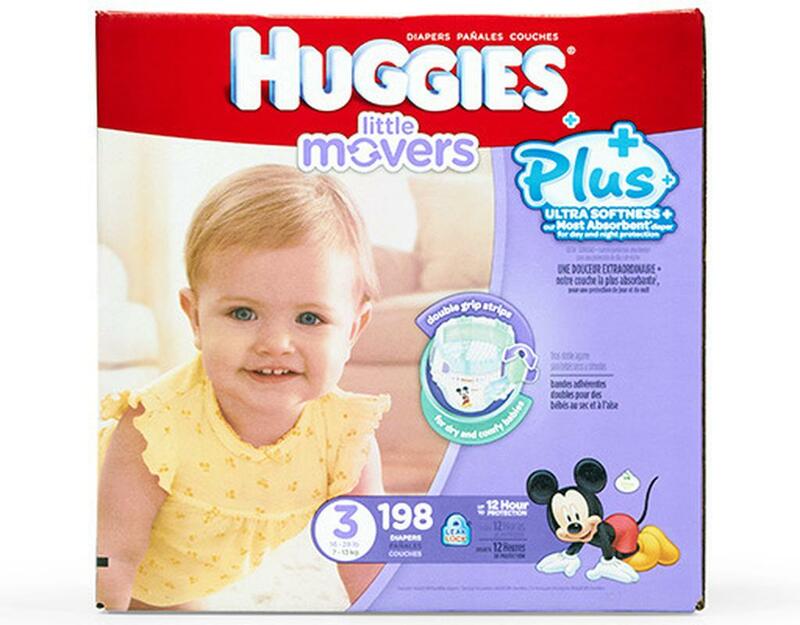 • Unique contoured shape stays in place as your baby moves and plays. • Huggies' Leak Lock system provides up to 12 hours of leakage protection. 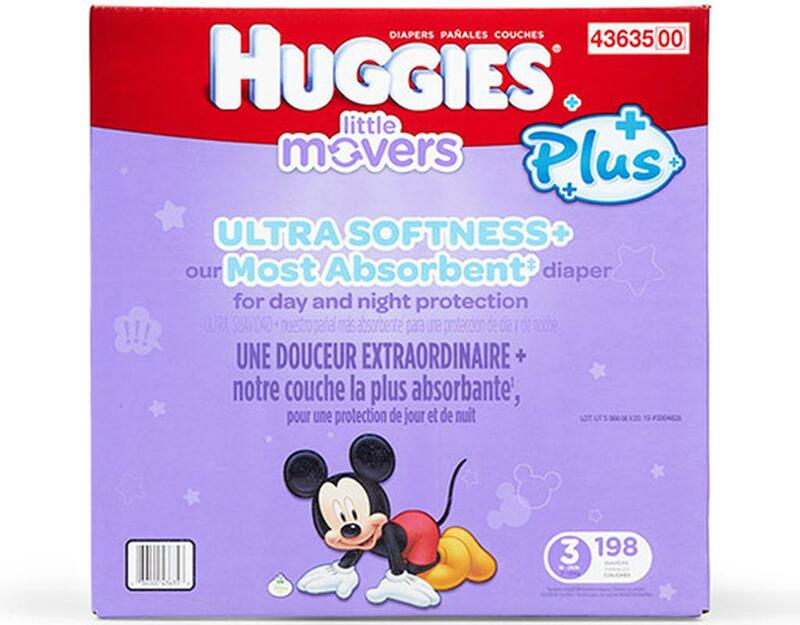 Absorbent layers help pull in wetness and lock it away. 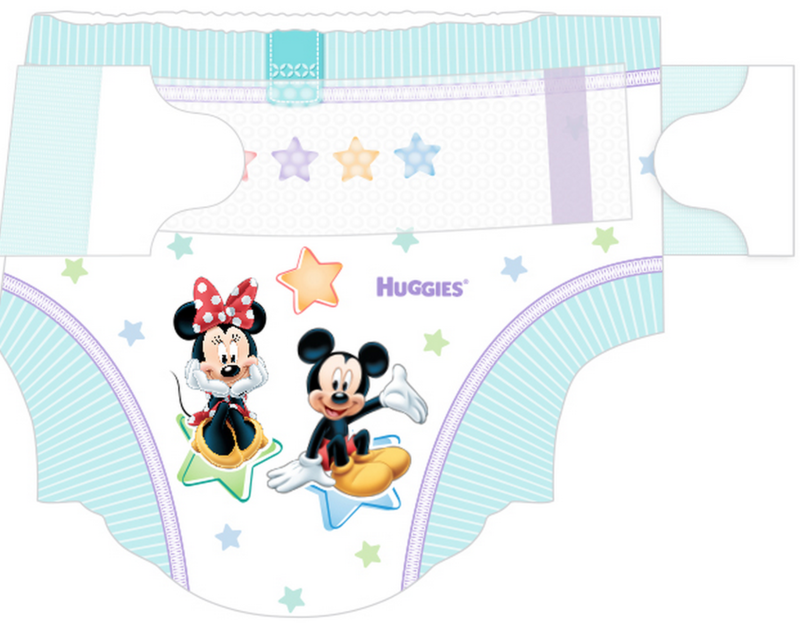 • The right fit for protection. 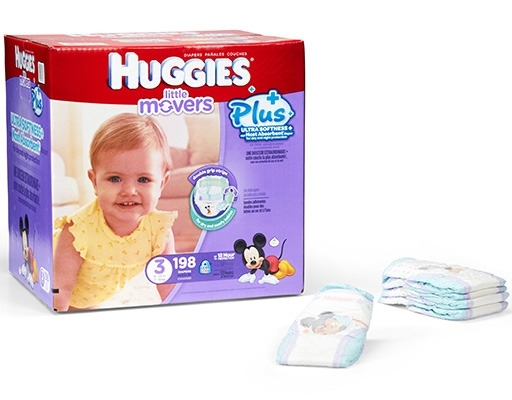 Only Huggies Diapers have the stretchy SnugFit waistband for even more flexibility. 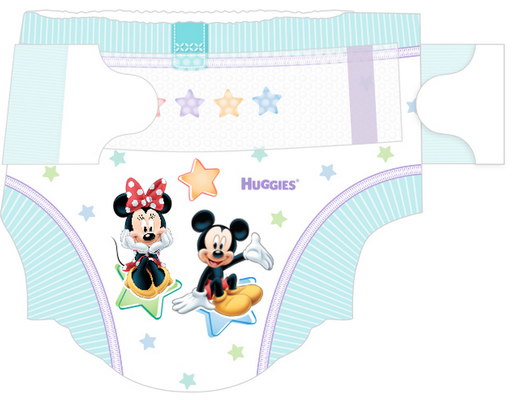 The flexible, contoured pad and SnugFit waistband are shaped to go wherever your baby goes. 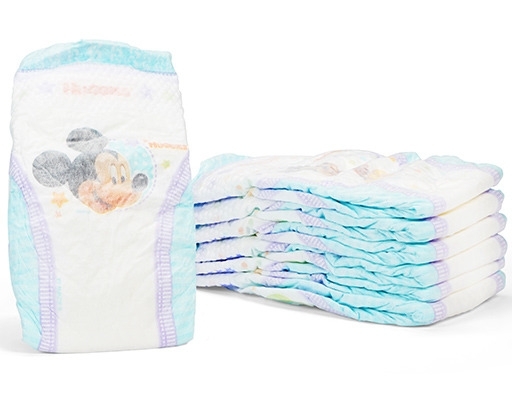 Grip tabs and SnugFit combine for a secure fit.